They say it takes 21 days to form a new habit. It’s been more than a month now when the hubby and I started jogging for 5km at exactly 8PM during weekdays. Since I clock out from work at 6PM and we normally have dinner at around seven, we went for 8PM and not an earlier time. The week before APEC, we were able to jog for five days straight! Our plan is to jog M-W-F. We’d do more if our schedule and energy permit. Our fastest 5-km jog so far is 44 minutes. Still slow, but we’re trying to do better. We sometimes alternate between jogging and brisk walking for a more fun experience.There are times also when Mame or my brother joins us. I say the more, the merrier. I want to be a flexitarian. 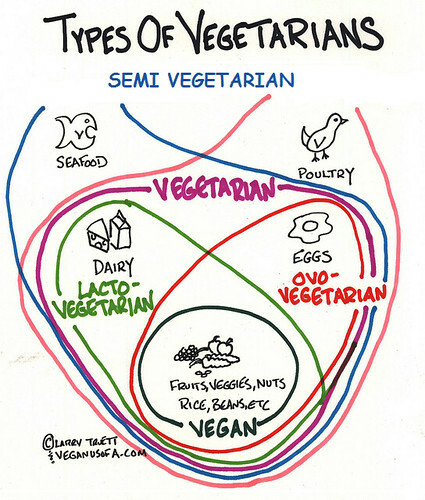 A semi-vegetarian or flexitarian diet is described on Wikipedia as “one that is plant-based with the occasional inclusion of meat products. Lately, I’ve been thinking of adopting this kind of diet primarily for my weight loss efforts. I wouldn’t mind reaping its health benefits in the long run, too. The last time I checked my weight (just this morning! ), it was 126 lbs. I’m 5’4″ tall and wear a size M, sometimes L. My weight usually goes up to 130 lbs. during weekends (when I tend to overeat!) and go back to 124 lbs. during weekdays when I get to control my appetite (most of the time, ehem). That’s been the case for me in the past months and somehow, I’m a bit disappointed with the results of my weight loss efforts so I’m thinking, maybe this flexitarian diet could work on me. Haha.